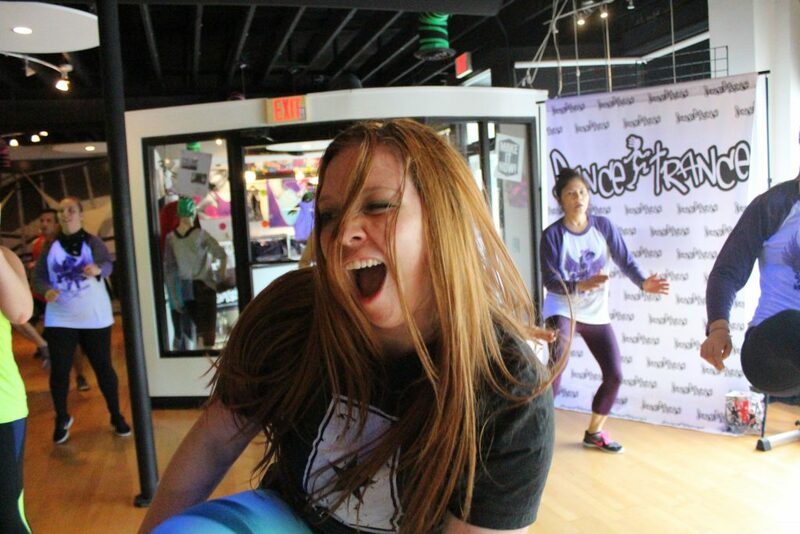 Dance Trance Fitness is a high-energy, dance intensive workout program that’s like nothing else! We keep it fresh with new music, challenging with creative choreography, and every hour is bound to burn between 700-1000 calories! Dance Trance is the perfect fitness program for women who grew up dancing and miss having it in their lives. It’s also an incredible program to start dancing for the first time if you’ve always dreamed of having sweet moves and the confidence to get out on the floor. The studio is filled with a nightclub-like vibe and at the same time, camaraderie that connects a bunch of girls who love to dance on and off the dance floor. Studio Owner, Elisa DeFoe, and Lead Instructor, Renee Korte, have been together since 2010 and work incredibly hard to keep this program on the cutting edge of dance fitness options in Orlando. Don’t try to compare it to some of the other brands out there – Dance Trance is its own beast that’s taking the nation by storm! So check out our schedule and choose the class best for you – we offer Beginners, Break Down (Intermediate) and Dance Trance (Advanced). Download the Dance Trance app today for your iPhone or Droid. Sign up here for a chance to win a free week! Drawings will be held monthly!